Words by A. Person; Music, edits and talking by Jordan B. The way you felt about Game of Thrones, when that whole family was slaughtered – oh, no! – that’s how I feel most days. That’s how anyone feels when they turn away from the screen with such regularity (and long enough) to witness the most intricate, mass-scale human drama in the history of the Earth. We stand at the end of an epoch, at the end of a civilization, at the end of an empire – at the start of something else. Nobody knows what will happen in the next season but people have got some inklings. We’re moving into a new geological era – the sixth mass extinction spasm. Every civilization – man, beast, plant, rock, mineral, oil – is under silent siege. Everywhere you look, billions and billions of stories and we’re missing all of them while we stare at something that is not happening – that’s essentially a lie. It’s all in your minds. What is happening is the planet is awash with slaves, and all of them are heroes just waiting to happen, if only we’d give it some of our attention. People told me that I carry the weight of the world on my shoulders. Indeed, that’s why I beg a hand in carrying it – spread the load around. But it’s not – people aren’t watching. They’re staring into bright lights like rabbits before impact and it freaks me out. Because I am not watching Game of Thrones, I’m watching history rot itself and it’s the most thrilling, exhilarating, troubling, terrifying, evocative meta-story that’s ever been written. And it’s happening right here, right now, in real time. The stories, the characters, the lives. You think what happens on TV is bad, you should see what my granddad had to do with knives. You should see how your iPhone comes together – now there’s some stories. We’re wearing stories – slave stories. Every day new episodes. And if you did see it, you’d feel it every day. You might feel like I do. We’re not so different, we’re just tuned into different stations. I feel a bit alone when everyone’s tuned into Game of Thrones. I feel like everyone’s missing out, not only on watching the greatest drama on Earth unfold, but to participate in it, to script it ourselves. While we watch the screen, the directors prime the scene – and it’s a very interesting scene. And we think the plot is so complex, not really up to us to figure out. But actually, it’s just all the background noise getting in the way of some very simple things. Slaves, profits. Cunning as foxes in a henhouse. Sweet deal. There’s a ruse going on – it’s part of what makes the plot so exciting, fascinating, creepy. And the ruse is not so elaborate – it’s simple. Flash a light in their faces while you round them up for labor. Keep them distracted while you steal the land right out from underneath them. Justify the acquisition in a foreign dialect. Take by stealth and not by siege. Capture the people intact and have them do your work. Sabotage those who resist – kill them if you have to. It’s in the killing where things get really interesting. A whole lot of killing going on. Lots of stories. The feelings. Tin-foil hat conspiratard, feminazi, luddite, greeny, hippie, feral, extremist, terrorist. Sheesh, man, I’m just watching the show. Game of Thrones is not actually happening. Poppies, poppies will make them sleepy. Stare into the lights, my pretties. This entry was posted in Alienation & Mental Health and tagged Capitalism, Video, 3: Civilization is based on violence, 17: Don't base decisions on fence-sitters on September 23, 2013 by Norris Thomlinson. A drone is a perfect citizen. It follows orders. It produces. It does not waste. It does not take breaks, it does not gossip, and it does not unionize. A drone does not worry about the second-order effects of its actions. 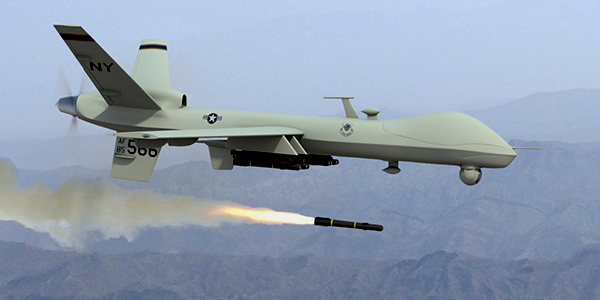 A drone will not whistleblow and a drone will not strike. A drone works, and works hard, and does nothing else. A drone is an economist’s compatriot. They are perfect rational actors, their brains wired to view everything in cost-benefit analysis. A drone can be cheated, but never confused. A drone will always be convinced that its decisions are correct. How do drones communicate? In certainties. Drones are sure of their place in the world and their place in the hierarchy. A drone will seek its maximum advantage in any situation. Without the need for sleep or sustenance, a drone is a higher being. An animal perfectly evolved for the digital world. But perfect evolution does not mean an ideal form. They are working on it, though, creating drones like the famous “Big Dog” that is more adaptable. It is able to operate, its parents note excitedly, ‘even’ in nature. This talk of perfection is literally inhuman. It is anathema to a carnival, which is why Murmuration is so wonderful. The carnival frame allows us to discuss drones in human terms, in fears and worries, in excitation and love. A carnival is silly, as irrational as can be. And as human as can be. The carnival is a meatspace event, drawn by Murmuration in an incursion into the drone’s digital world. The carnival is, arguably, a rationalism-free zone. This entry was posted in Alienation & Mental Health and tagged Cities on July 29, 2013 by Norris Thomlinson. Civilization’s continuance requires widespread denial among the populace of civilized nations. The denial of the inherent unsustainability and violence of civilization is, for example, pivotal in the conventional understanding of civilized existence as the most “advanced” or “highest” form of societal organization. While denial of the egregious material consequences of civilization is the most blatant example of this culture’s sickness, there’s an intuitive sense among those who are aware of civilization’s destructive nature that there are deeper socio-psychological problems in the substratum of civilized life. Although often undetected, the denial of impermanence is one of the strongest underlying forces behind civilization’s rapacity and attendant destructiveness. Impermanence is inherent to existence regardless of sociocultural arrangements, present in cyclical indigenous cultures and contemporary linear industrial civilization alike. Despite this undeniable fact, the way a culture relates to impermanence plays a large part in determining its sustainability, the level of violence it perpetuates, and the internal well-being of its members. One option is to accept and even embrace the basic uncertainty of an impermanent world. We may get sick at any time. We will certainty grow old. And, incontrovertibly, we will experience the most conspicuous and mysterious of impermanences: death. Another option is to tell ourselves that impermanence doesn’t exist. We can decide to fear old age, illness, and death. as the greatest of horrors and center our morality around what historian Faisal Devji calls “life as an absolute value.”  Since death is an impermanence that cannot be avoided, it is worth reflecting further on its place in society and, in turn, our individual psychologies. This entry was posted in Alienation & Mental Health and tagged Vincent Kelly on July 11, 2013 by Norris Thomlinson.